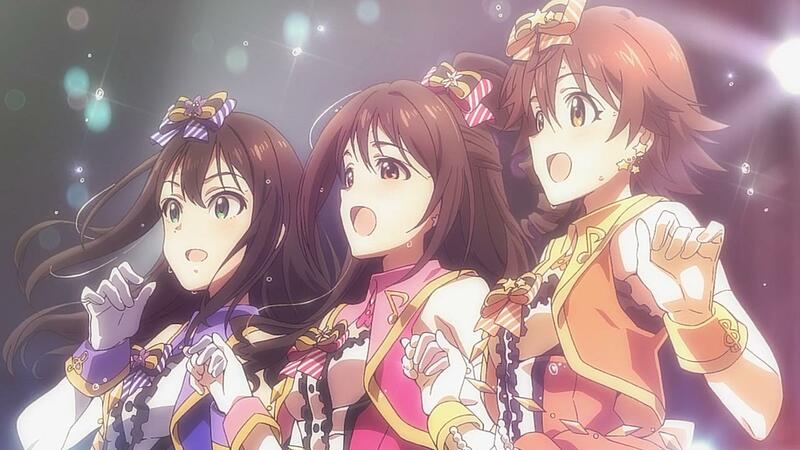 There are some charm of an idol anime. Perhaps because of the interesting cast, or maybe because the songs, or the straightforward story, or all of them altogether. 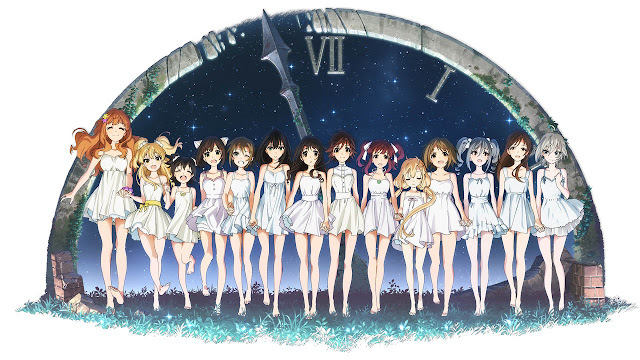 iDOLM@STER Cinderella Girls is no exception. It is fun to watch, listen and sing along to. It's not too great, but it is enjoyable. The first season is more like an introduction, telling a slice of life story for each idols as they get comfortable with their units. The second season however, started with all thing suddenly crumbles down. 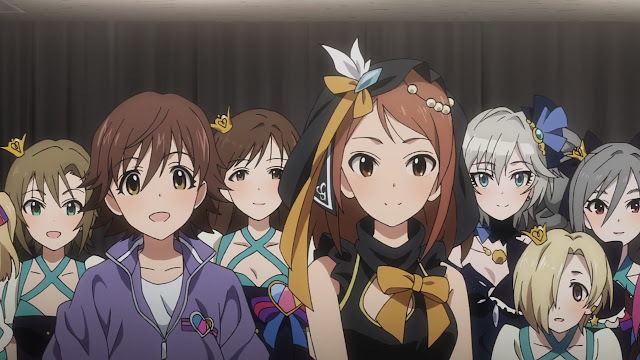 A bit of depressing start, but the each idols find their own light in the hardship they faced and keep going on as the story continue to progress. They had the right formula; there’s the evil step-mother, the prince and the multiple Cinderellas. 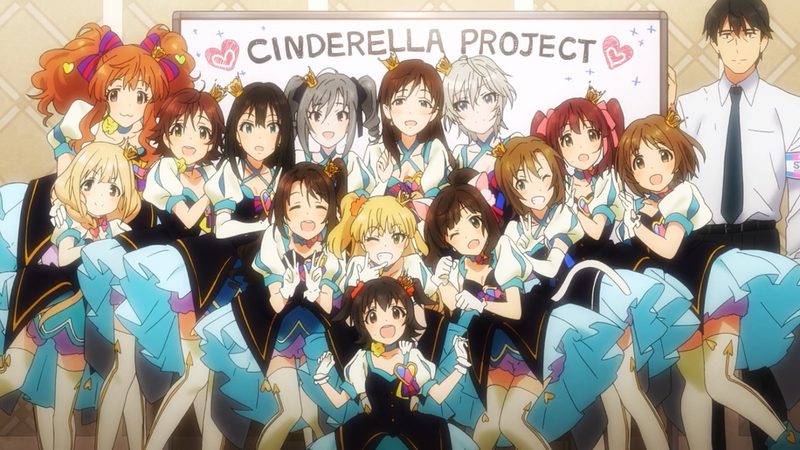 The tales for each Cinderella is done decently, but feels rushed and bland at time. It does suddenly get depressing somehow near the end, which does feels kind of forced. And the way the end is executed are rather bland after all the tension built up previously. The story overall has a much darker tone compared to the first season, yet it fails to capture each idols development, making this whole anime more like an advertisement to the game rather a complete set of anime. There are about 15 main idols, as well as some extra senior and junior idols from the same agency featured. Their character design are hit and miss. 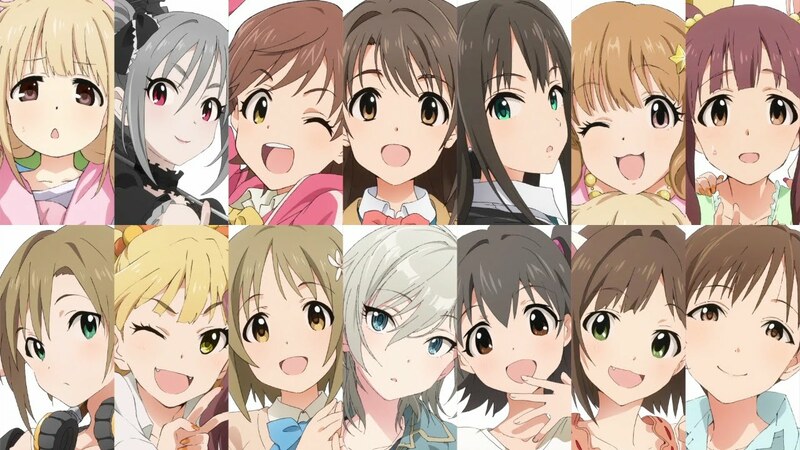 Some more notable idols like Ranko, Anzu and Anastasia are really fun to watch, looks better than the whole cast in design and personalities yet their appearance in the anime itself are minimal. 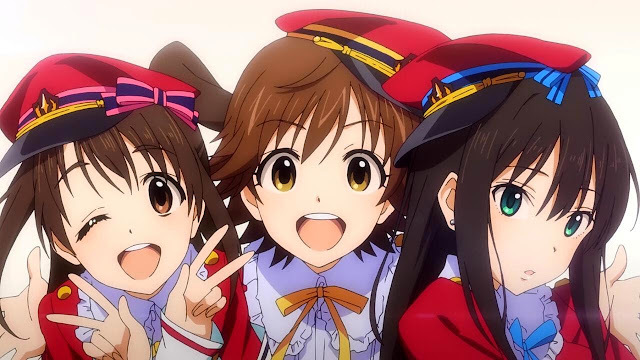 The three idols in the New Generation units, who supposed to be the main cast by no mean are bad but rather generic, and took the spotlight too much at time. Some of the other idols just feel insignificant, and just there to fill in the spot. The main problem like stated previously is the lack of character development which could be justified because of the abundance of idols in the series. Some of the characters are memorable, while other feels left out. The art and animation are above average. The usage of bright and vibrant colour keeps the anime overall tone to be on a lighter side. 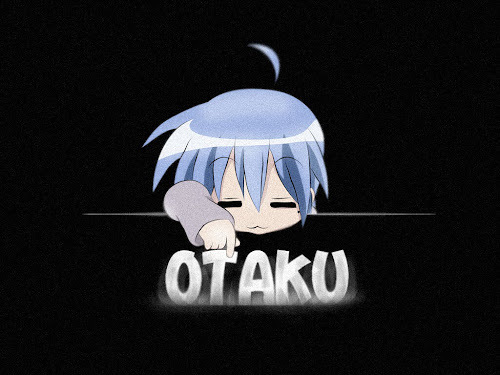 The animation are smooth, with no apparent problems. The usage of 2D drawing instead of using CG during the concert are much appreciated, keeping the quality constant throughout. As for the music, there is not much to complain since most of the time it is really good. I do enjoy the different music used for each idols units, but I wish it could be extended more. The iDOLM@STER Cinderella Girls 2nd Season is a decent anime, with so much potential yet feels rather inferior compared to its predecessor. It does have its own enjoyable moment, and it is fun to watch each idols doing their best to climb the stairways leading to the promised palace, a stage where their job is to make people (including the viewers) smile. Do pick it up if you enjoy idol anime, but you won't miss much by not watching.